Outter Limits is family-owned and operated specialty outdoor retailer that has served the Saskatchewan, Canada area since 1987. We only sell the best products from the top brands in the outdoor industry at very competitive prices. 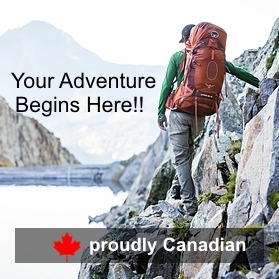 With over 4500sqft in our Saskatoon location, over 1800sqft in our Waskesiu Lake location and our on-line OutterLimits.com store warehoused in Saskatoon, Outter Limits has an abundant selection of products for hiking, backpacking, climbing, trail running, snowshoeing, adventure travel and many other outdoor endeavours. Our staff share the same thirst for adventure as our customers, providing a warm and friendly gear-getting experience. Our staff use the products they sell and attend regular product knowledge sessions so they stay on trend with the latest technologies in the outdoor industry. If you happen to be in our neck-of-the-woods, please drop in to one of our retail locations and say hello. We love to meet people with similar interest who enjoy making life’s ordinary adventures epic! Your adventure begins here!